“The Donaldson family are deeply dismayed by the Irish State’s continuing interference with their right to an Article 2 compliant inquest. Over the last 12 and a half years, this inquest has been adjourned on 22 consecutive occasions. While not treated as a “legacy case”, the time-wasting and obstruction by criminal justice agencies, north and south, is making it a legacy case. “At the heart of this case is a criminal conspiracy involving State agents in the exposure of Denis Donaldson as an informer for the RUC, PSNI and MI5, leading to his murder in April 2006. In the cover-up which has followed, Gardaí have invoked “State security” to prevent the return of the Journal in which Denis was writing days before his murder. “In July 2017, the Police Ombudsman in the North confirmed the investigative value of Denis’ journal to his Investigation and gave an explicit undertaking to the Donaldson family to initiate proceedings to recover the journal. To the present day, however, Denis’ journal remains in the control of Gardaí. At their request, the Donaldson family last met with the Police Ombudsman Dr Michael Maguire on 27 July 2018. A meeting has also been requested with Gardaí and is due to be held next month. An Garda Síochána have now completed their investigative file into the murder of Denis Donaldson. 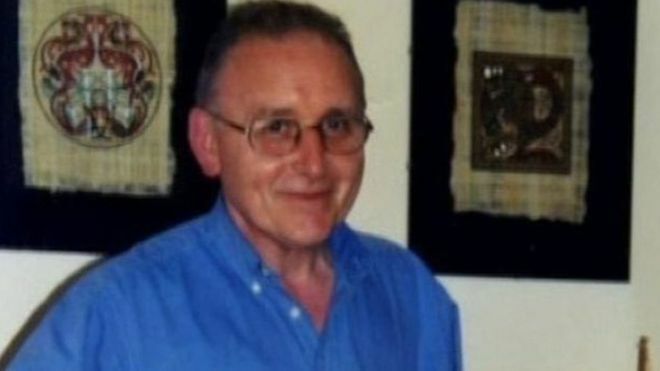 Gardaí have previously confirmed that the journal in which Denis Donaldson was writing in the days before he was murdered is of no evidential value to Gardaí. They have also confirmed that lines of investigative enquiry centring upon Denis’ handler Lenny, and former senior members of RUC Special Branch, were excluded from the Garda Investigation. Ciaran Shiels from Madden & Finucane successfully represented Denis Donaldson and his co-accused William Mackessy in the 2002 “Stormontgate” case which led to the fall of the Government in the North. He has represented the Donaldson Family since Denis’ murder in April 2006 in their search for the truth concerning his exposure as a British Agent and the true circumstances of his murder.